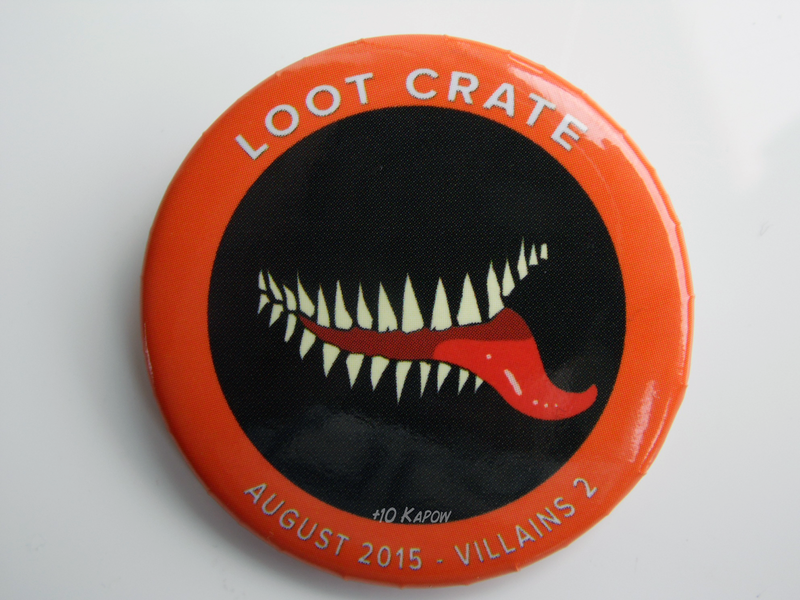 This month's Loot Crate theme was their second ever sequel, Villains 2. 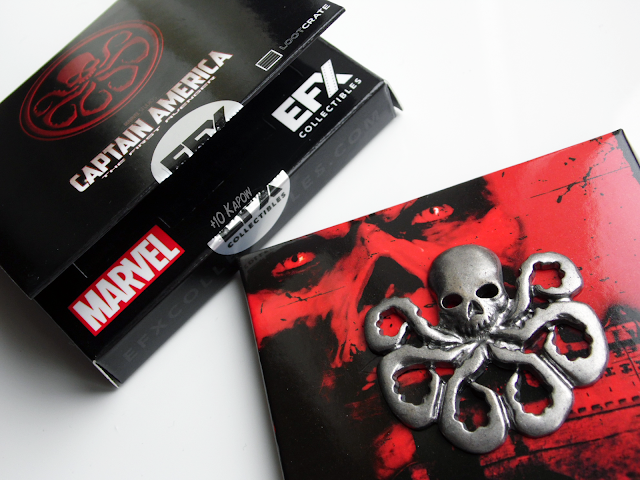 The original Villains Crate from last year remain to this day one of the best, it was a great selection of items, not that tbh Loot Crate have ever really gone wrong with their curation. 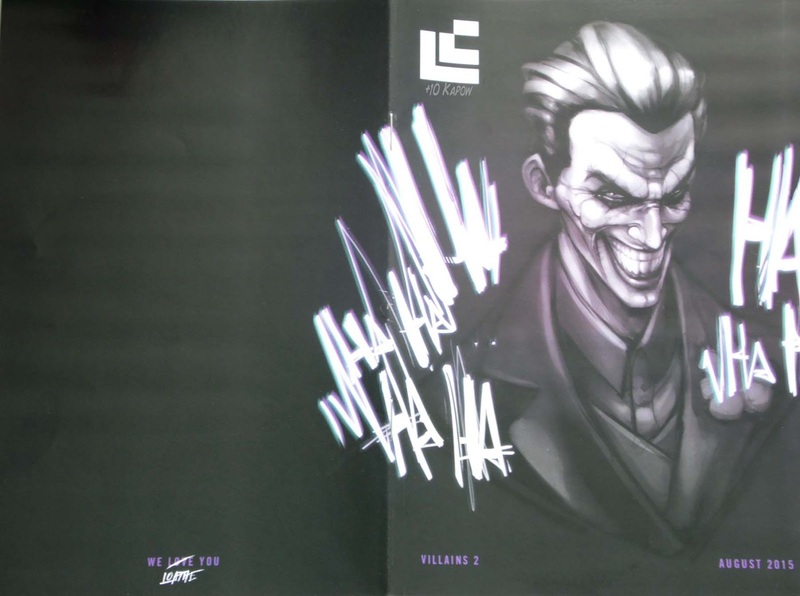 I am loving the lastest styles of the magazine covers but Loot Crate, please, please, please make these into mini posters available in the crates. 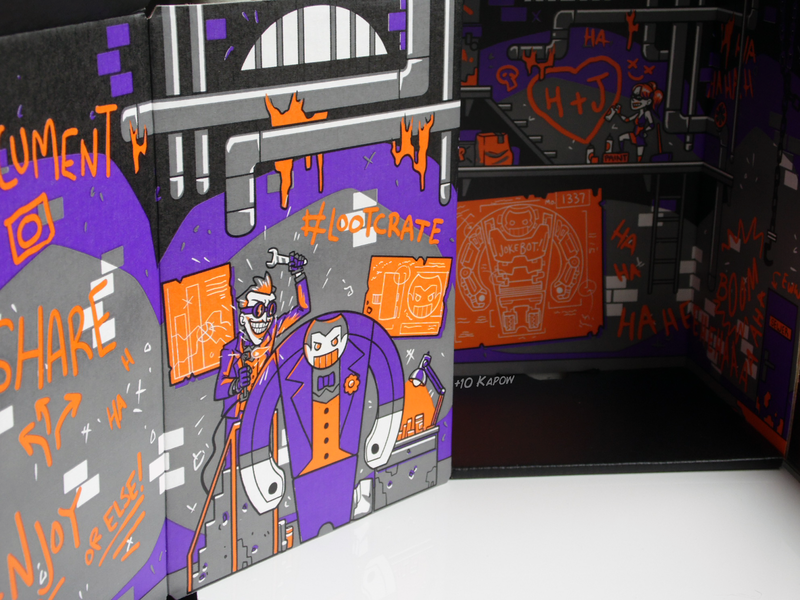 So lets have a look at this month's villainous haul. 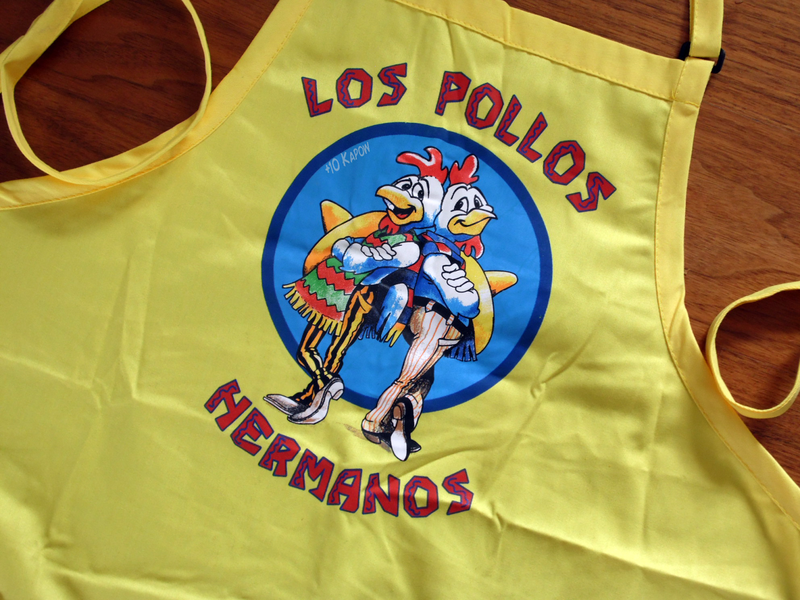 I'll be honest, I had no idea what this was when we pulled it out, the Los Pollos Hermanos reference, not the apron, of course I knew it was an apron haha. Then when I looked at the item page in the magazine, the RV in the background made me think Breaking Bad but I still had to have a Google just to check. I've tried watching Breaking Bad but I just cannot get into it, it bores me, I'm sorry but it does. 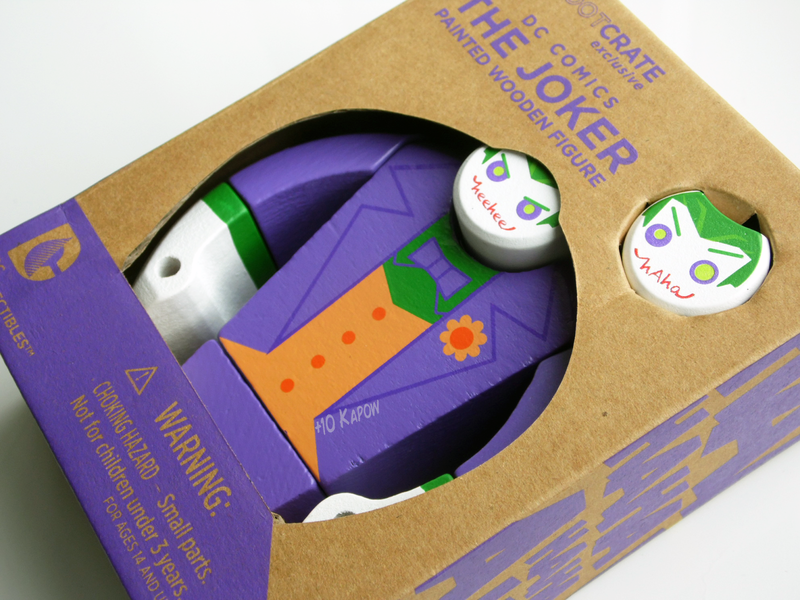 I do however, really like the fact that Loot Crate are trying to branch out to other wearables. I really love this figure, it reminds me both of the toys we used to have in school when I was little and of the Mondoshawan from The Fifth Element, just because of his shape. 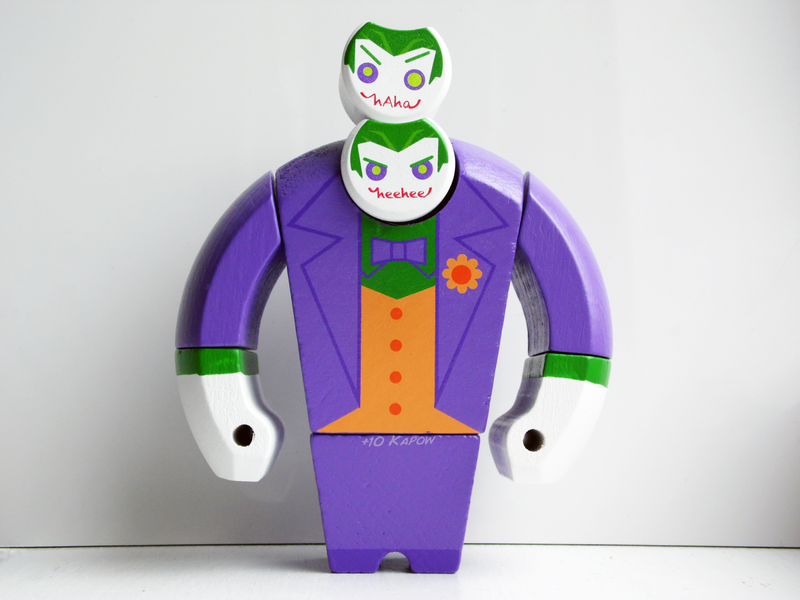 The heads have a stick attachment on the back which literally just slots into a hole behind it. 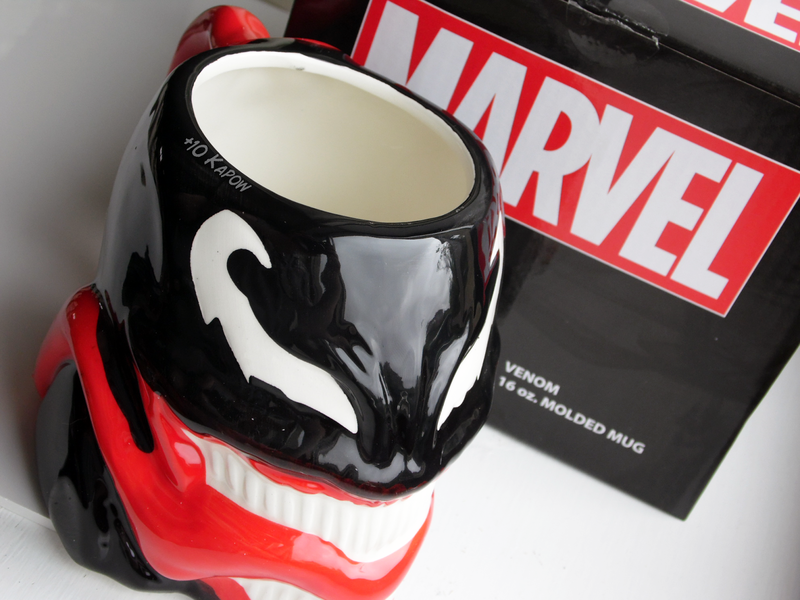 As you can see I received the Venom mug and I'm so happy I got this one instead of the Carnage one, this one just looks so much more badass. The cup is proper sturdy and will make a perfect vessel for my tea. I just have to find where to put it now because awesome mugs is another of my obsessions and I am pretty much at and over cupboard space limit now already. This is definitely my favourite item from this month's crate, it's gorgeous. It has a double pin on the back which will help to ensure it doesn't fall off whatever clothing item I adorn with it. It's not heavy but will pretty much look awesome on anything. ...and the box innards feature some cool underground lair type art which show us the Joke Bot plans! That's £65.04! A whopping price for 4 items and remember, we pay about £20 including postage, so basically we paid for one item and got 3 free. 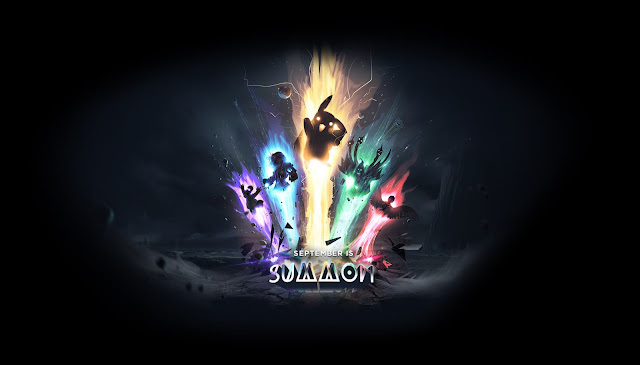 Loot Crate have already announced next month's theme which is going to be SUMMON! and they have already said there will be items from Pokemon and Hearthstone, eeeee super excited. Plus how friggin badass is the theme image? I'm hoping it's is giving little hints because I spy Castiel on the right and anything Castiel is needed. Also, love anything Blizzard so that's awesome! I'm sure you are excited too and want to sign up now because you need to have this stuff, you do need this stuff, you will sign up, click this link and go and sign up now!